In the last few years, a new momentum in favour of a specific midlands identity, distinct from that of the north and the south of England, has been evident. Pointers to this include such diverse factors as the growing interest in the ancient midlands Kingdom of Mercia and the establishment in 2016 of the West Midlands Combined Authority. 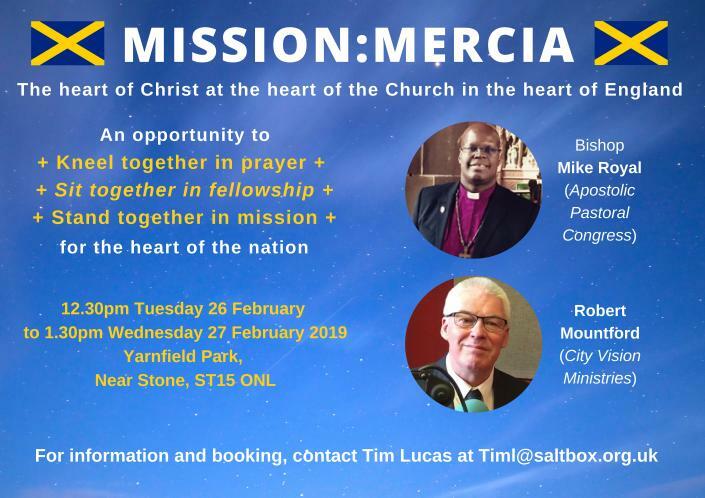 In 2015, in response to this growing momentum for a specific midlands identity, the inter-denominational Mission:Mercia network was launched. 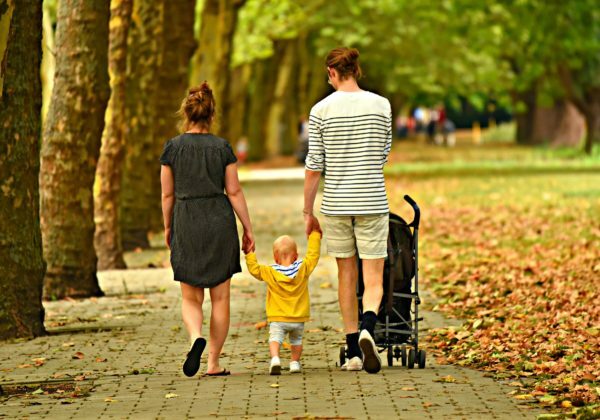 During the last three years, the network has held a series of meetings and retreats, linking church leaders, business leaders, intercessors and houses of prayer from across the midlands. You can read ore about the Mercia Journey here. Love Black Country are honoured to have been part of Mission:Mercia from it’s conception. The famous Oxen prophecy spoken over our region speaks not only of the transformation of the Black Country but also a movement from the midlands that will pull ploughs the length and breadth of the British Isles. You can listen to the full “Oxen” prophecy here. 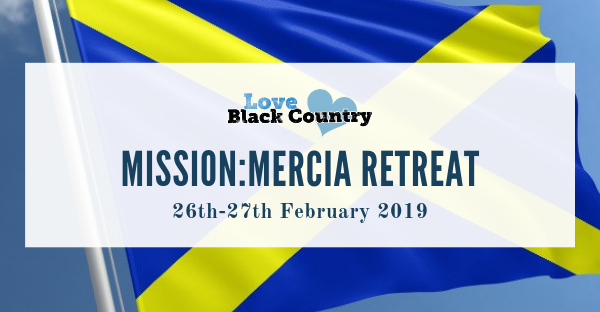 We believe it’s crucial that in order to be obedient to prophetic word spoken, we must connect on behalf of The Black Country to the wider midlands region of which we are part. Stand together in mission – To share stories of blessing and best practice from the cutting edge of mission. 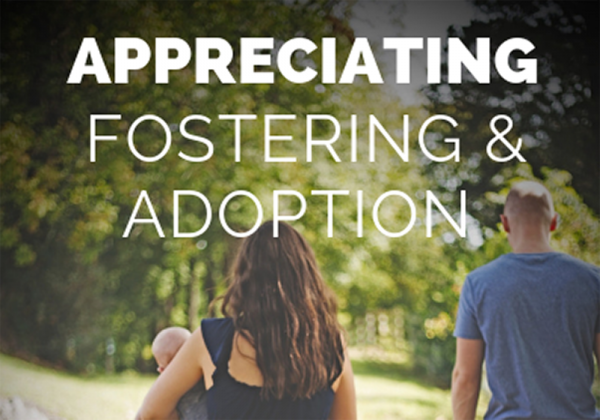 We also encourage you to bring others with you, whom you consider would have something to give/receive by participating in the event, catching the vision and joining the network. Please return this booking form as soon as possible, together with your cheque made payable to ‘Saltbox,’ to Tim Lucas, Saltbox, Gitana Street, Stoke on Trent, ST1 1DY. If payment by cheque is not possible, please e-mail Tim at timl@saltbox.org.uk to arrange a phone-call to facilitate payment by credit/debit card. Closing date for bookings is Friday 15 February 2019. Since Yarnfield Park Training and Conference Centre requires confirmed numbers from us by mid-February, your assistance in booking promptly would be greatly appreciated. Please understand that because of our contractual agreement with Yarnfield Park Training and Conference Centre, last-minute price reductions and/or refunds are not available for facilities booked, but not used. I enclose a cheque payable to ‘Saltbox’ for………………….